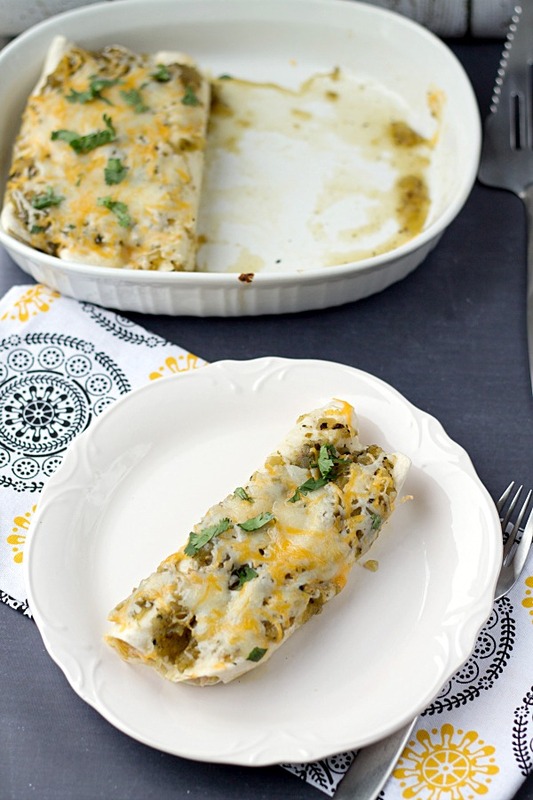 Kick up your next enchilada dish a notch with these Green Sauce Chicken Enchiladas. 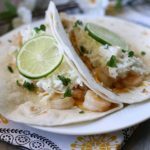 Gourmet green tomatillo salsa cuts back on prep time giving you a quick, delicious meal for dinner! For those of you who have a Total Wine within a reasonable distance of your home, have you ever been to a Total Wine Beer Class? If you love beer you should definitely check out one or a few of the classes. The classes are a great way to try out beers and find some new ones to enjoy. Ken and I have been to a few of them and last night, we attended the Autumn Beers Class. We tasted some amazing Oktoberfest, Pumpkin, and Harvest beers as well as a couple of ciders. Some were new to us, some weren’t. One that wasn’t so new to us that just happened to be sampled at the class was Southern Tier Pumking Ale. It’s an Imperial Pumpkin Ale which means it’s stronger in both flavor and alcohol content than your normal pumpkin ale. The smell and taste of this beer is amazing. The only thing I can compare both smell and taste to is warm fall baked goodies. No joke, I wouldn’t mind if my house smelled like this beer year round. It’s truly one of the best pumpkin ales I’ve ever had. The numbers point to it being one of the best as well. Beer Advocate rates it at 91/100. That’s some darn good beer! What are some of your favorite fall beers? Need to get more fix for your fall beer kick? Check out these amazing fall beer recipes! 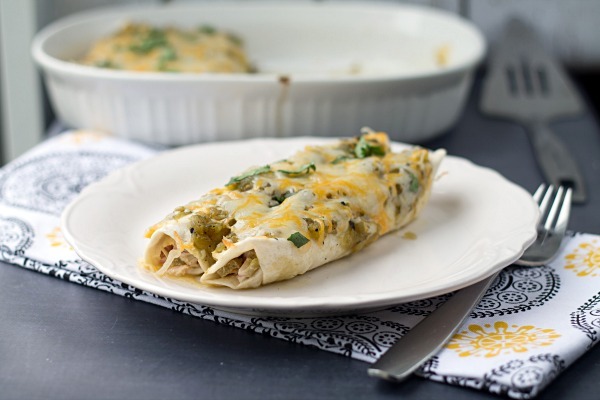 A while back I made these simple Green Sauce Chicken Enchiladas for dinner. It was a weeknight. I was lazy after work so I didn’t feel like fussing around much in the kitchen. I had bought a jar of gourmet green tomatillo salsa earlier in the week so I decided to make some enchiladas with it. After all, I had always wanted to try enchiladas with green sauce. I always get them with red sauce or cream sauce. All you need are a few easy to grab ingredients for this dish. Use already diced bacon (found in the salad condiment isle of your grocery store but don’t get those Bacos, get real bacon pieces) and cooked chicken to cut back on time. A rotisserie chicken, leftover chicken, grilled chicken. Any type will work. You’ll find the rest of the list below. Enjoy! In a mixing bowl, mix together the chicken, bacon, chilis, onion, sour cream cayenne pepper, garlic powder and seasoned salt. Place about 3 tbsp of the mixture into each tortilla. Roll each tortilla up and place into a lightly greased (cooking spray) 1½qt baking dish. Top with desired amount of green tomatillo salsa and monterey jack cheese. Bake at 350 for 10-15 minutes or until the cheese is melted. This recipe makes 7 enchiladas. One person can have an extra enchilada or you can split the 7th enchilada between everyone. I love all the fall beers!! But I’ve been hooked on ginger and cinnamon flavored cider! Yum! 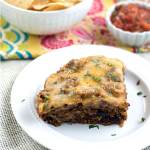 I love Mexican food Julie, I have to make this for my family! Pinning and sharing on FB for sure! What brand is the cider, Tanya? Oh my, you have to try the Pumking if you ever get a chance to buy it. It’s SO good! Thanks for the pin and FB share! Hope you have a good weekend! These look so yummy. I love different variations of enchiladas. And changing it up is so easy to do. Pinning! Yum! We have tons of tomatillos growing, so I will have to make some tomatillo salsa and then these enchiladas. They look superb! I bet that homemade tomatillo salsa will be amazing! I hope you enjoy the enchiladas! The Beer class sounds fun! I don’t know if we have Total Wines in Colorado, will have to check. I have a meal very similar to this in my fridge now ready to take to a friend for dinner. I too went with the store-bought sauce but have a recipe to try to make it with tomatillos and will try that next time. Just about to mix together a mango guacamole to serve with it. I made some for myself too and am looking forward to dinner! I checked and sadly, there aren’t any in Colorado. New Mexico and Nevada but not Colorado. Perhaps there are some other beer stores that do beer classes in your area! I’d love to make a tomatillo sauce sometime. I hope yours turns out great. Let me know how it is! And mango guac? That sounds amazing! I’m not a beer drinker, but I AM an enchilada eater! 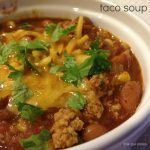 Love this recipe, Julie! Thank you so much, Tina! Your recipe looks great! I love that you improvised since you couldn’t find all of the needed ingredients! Oh I bet your salsa verde is amazing, Anne! It’s on my list of things to make one day but for now, I will get the stuff in the jar. It’s so easy! But definitely not as good as homemade! I LOVE enchiladas (or anything else) with green sauce. This recipe looks so good, Julie! I wouldn’t have thought to add bacon, but I’m definitely going to do that next time. Pinned! The bacon was one of those “hmmm, this would be good” situations! Thank you so much for the pin, Andi! Mmm, green enchiladas are one of my favorite meals! These look delicious! 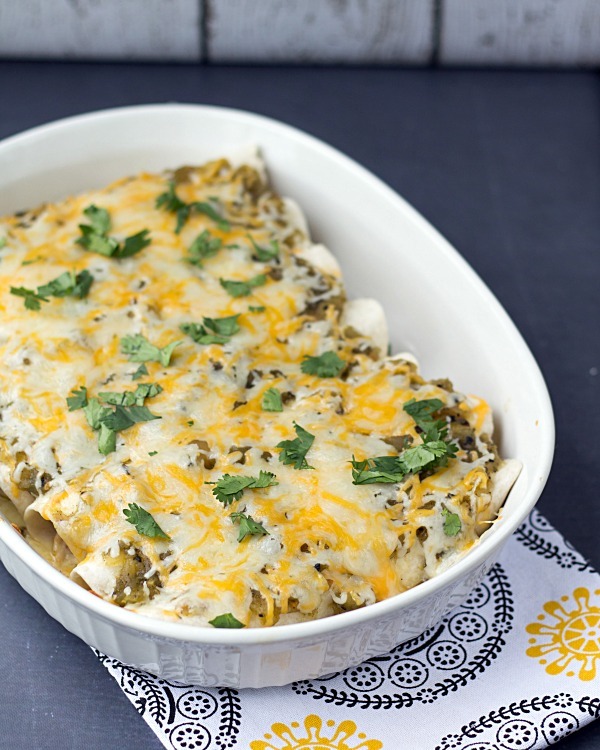 I don’t buy Green Tomatillo Salsa very often, but just might have to to make these enchiladas. They look cheesy easy and delicious. Thanks for the idea Julie. When tomatillo salsa is involved I am all in! These would be a huge hit! Thanks for sharing!